Sadly, completing an e-commerce website design is not as easy as you would deem it to be. In fact, even with ready-to-use builders and robust CMS like WordPress or Joomla or other platforms like Shopify, Bigcommerce, 3DCart, you need to face some hurdles before you can enjoy the perks of having a truly dedicated seller website. As a guide to the newbie developers and aspiring businessmen, we have created a list of the most persistent problems e-commerce website builders face from time to time. Why can’t my team decide on a cost for the design process? What are the exact requirements for the site? Another downside of having rigid plans for the first leg of the development process is that you may never know what sort of changes your site may require later on. There are times when your developing business might call for changes in the choice of plug-ins and SEO needs. It has been a month; the e-commerce site is not complete although it is online! How do you pick the correct CMS and backup system for your website database? This brings us to the next database related part – making room for upgrades. You must choose a database that accommodates updates. Do not pick the cheapest CMS you can find online! Go with ones like WordPress, Joomla or Drupal or choose a hosted solutions like Shopify, Bigcommerce or 3DCart . Your CMS should be reliable, standardized and provide room for a scale up. Always include the possibility of an upgrade in your website design budget. Always choose a CMS that is easy to update. You can always update the content of the database by yourself when the time comes to cut corners. However, never try to upgrade a CMS by yourself! Ask your website designer team or manager to help you with it. What more should I include in the contract? The simplest way to overcome these problems is by picking a company that puts customers first. In case, you are on a DIY mission, always pick premium templates, choose a paid premium CMS service, work with high rated plug-ins and opt for expert database management along with security services. 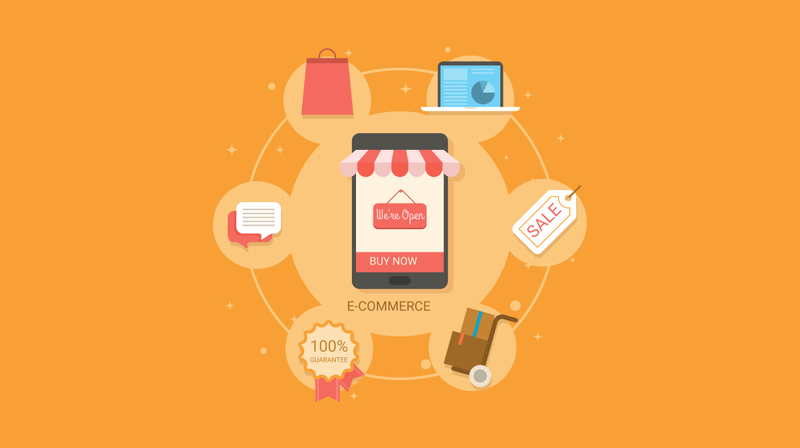 Your e-commerce site will be the face of your business online, and your choices during the development process will reflect the quality of service your brand promises. Author Bio – Barrack Diego is a freelance content writer. He has written many good and informative articles on different categories such as Miami SEO, Business and Web Design. He is very responsible towards his job. He loves to share his knowledge and experience with his friends and colleagues.